Tomorrow Fiji will witness the ordination of a new Catholic Church Archbishop, a tradition steeped in 2000 years of gospel teachings. And Father Donal Mcllraith, who will describe the event on radio to people locally and around the world, explained the ordination would carry a lot of significance and carry many interesting aspects of the Catholic faith. He explained that three consecrating bishops would ordain Father Peter Loy Chong on the day — the principal consecrating bishop being Bishop emeritus Petero Mataca. He said the lineage of consecrating bishops could be traced back five centuries. “If you bring up Google and put in the name Petero Mataca you will see that he was ordained by Bishop Pearce,” Father Mcllraith said. 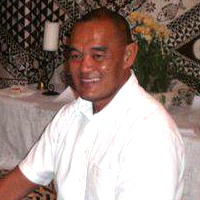 He said Father Peter Loy Chung would be ordained by Bishop Soane Mafi of Tonga and Archbishop John Dew of Wellington. Father Mcllraith also explained the meaning of the new attire the Archbishop would adorn once he was ordained. “They’ll put a ring on his finger to signify that he is married to the church. Christ is the bridegroom and the church is the bride. The bishop represents Christ for the church.